DIN Standards are invented for a variety of components including industrial fasteners as DIN 7340 Tubular Rivets. DIN 7340 Rivets are manufactured from Carbon Steel, Stainless Steel Grade A2 or A4, Brass, Alloy Steel, Plain Steel, Copper, Aluminium or many other materials. DIN 7340 Rivets are available in a wide range of sizes, shapes and materials. Available with flat head, roller performed round head or with countersunk head. The both internal and external diameters of the shaft are accurately cylindrical. Available with constant wall thickness. Also known as Tubular Eyelets. Also available with additional requirements such as bevel, knurling and puncture. Available with exact geometry equal to the diameter along the entire length of the rod and uniform wall thickness. Available Analogues include GOST 12638-80, 12639-80 and 12640-80. Manufactured from seamless and drawn precision tubes which offers the advantage over deep drawn hollow rivets. 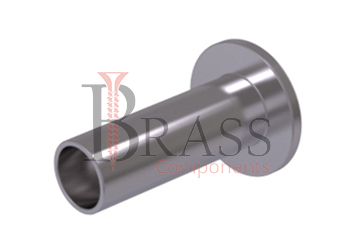 Available with superior quality than conventional eyelets produced from sheet metal. Special diameters can be manufactured according to customers’ specification. 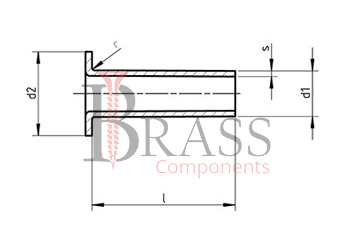 The End tubular rivet is a purpose for leading or pivot and sometimes for reducing the amount of force which needed for application by rolling the tubular portion outward. Available with Anti Corrosion and Anti Rust properties. Mainly used for frictional connection of work pieces. Used for jointing sheets, plastics, woods and boards. Provide unbreakable and Permanent Joints. Widely used as connecting and fastening element. We manufacture DIN 7340 Rivets as per Custom Specification and export in Germany, Sweden, Denmark, Norway, Russia, France and other European Countries. For more Information, Please Contact Us or Inquiry Now.